So you want to take piano lessons but don’t want to throw down for a full size acoustic piano? Never fear, this is where a quality digital pian﻿o will come in handy. Just because you don’t have access to a traditional piano doesn’t mean you can’t learn to play. Because of their lower cost and versatility, digital pianos are often the go-to option for musicians learning to play piano. 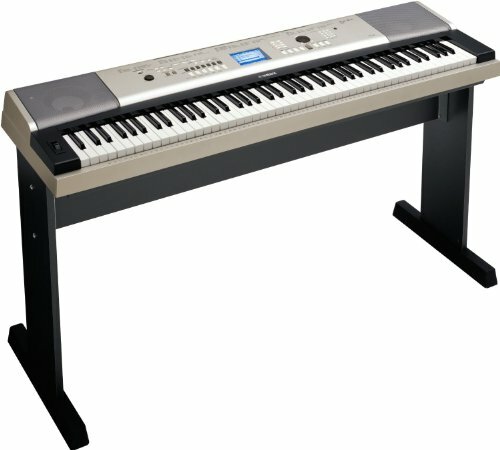 When it comes to finding the best piano keyboard for beginners, Yamaha is a brand that has a great reputation. The are the big “name” in the world of keyboard, and they make some of the best keyboards for beginners. The Yamaha DGX-660 really stands out, because it provides the true-to-life weighted key action and great tone you’ve come to expect from the Yamaha, all in a package that’s affordable for a beginner. In addition to superb polyphony, wonderful key feel and amazing life-like acoustic piano tones, the DGX-660 offers new features such as a “Style Recommender” which will recommend a style based on previous tempos or styles you’ve played. At a price that won’t break the bank, it’s also very affordable. 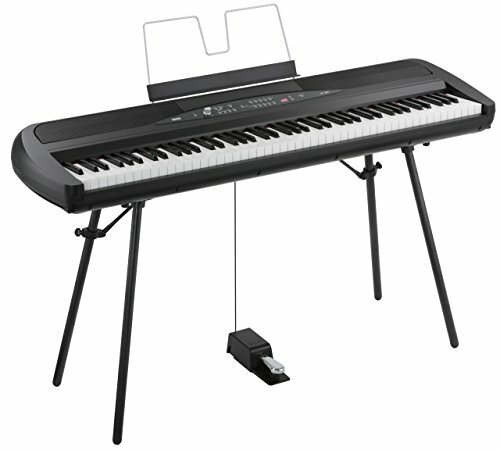 All of these features make this Yamaha one of the top contenders for the best keyboard piano for beginners. The Casio Privia PX-770 more than qualifies as one of the best digital pianos for beginners when it comes to authentic acoustic piano tone. While the initial appeal of this model comes from its attractive styling and authentic key action, Casio is known for producing possibly the most true-to-life authentic piano tones out there. This latest version of a Casio classic more than meets the needs of any student or introductory professional. 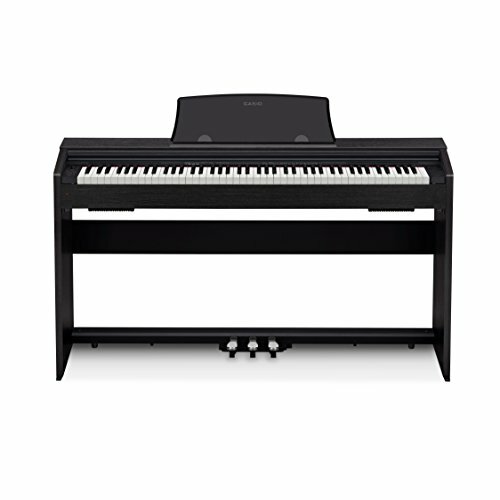 One appealing feature that sets this Casio piano apart from other keyboards in this price range is the full size, stand-up cabinet with a built in cover. When it comes to great aesthetics, realistic piano tone, and a top notch keyboard, look no further than this beginner Casio Model. 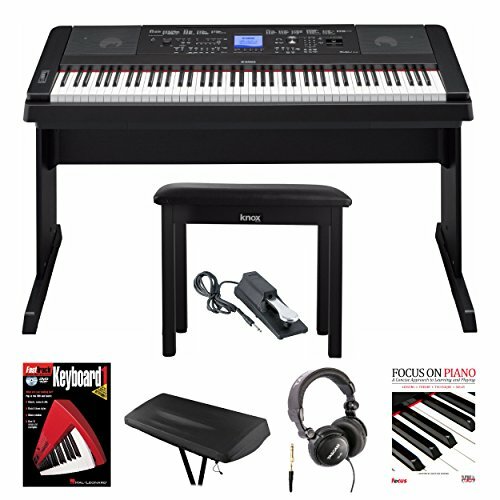 Korg has a great reputation among musicians because they produce dependable and portable electric pianos that are also some of the best keyboards to learn piano on. Clocking in at a relatively lightweight 57 lbs, the ultra-portable Korg SP-280 delivers excellent tone and dynamic key feel at a fraction of the weight of competitors’ models. But don’t let its featherweight title fool you. The Korg SP-280 still packs a punch with its full 88-key traditional piano range and dynamic tone quality. With its accuracy of recreating the experience of playing a concert grand piano, the Korg SP-280 digital piano is a definite contender for the best keyboard for beginners. The Yamaha YPG-535 gives you a lot of piano for an affordable price, without sacrificing that traditional acoustic piano tone. The pedals may not be built into the stand like our first three options for the best keyboard to learn piano on, but one is still included in the affordable base price. This dependable piano also features a backlit LCD display and the patented Yamaha Education Suite. This helps teach you to play piano by breaking down songs into individual components, making this one of the best beginner keyboards out there. Overall for the price it’s hard to argue against Yamaha when it comes to reputation, portability, affordability and performance. Product image sourced from musiciansfriend.com. When it comes to the budget buy, few things will top the Williams Legato traditional 88-Key Digital Piano. 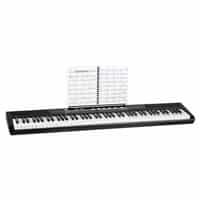 One of the less expensive pianos on this list, this Williams beginner model delivers an affordable option when it comes to the best keyboard for learning piano on. A full 88-key weighted keyboard and built in speakers and metronome make this Williams budget model a perfect option for the young student or piano novice. At this price point there are bound to be a few cons. Unlike the pricier models, the Williams Legato does not come with included pedals or battery source, although these are available as an add on in a conveniently grouped essentials pack. When it comes to the best digital piano for beginners, you have a wide variety of options to choose from. Characteristics such as tone, appearance, portability and value are all major considerations. A good starter model can go for $200 to $1000 with a variety of differences in features across that range. To learn proper technique from the start, you’ll want a keyboard with weighted keys. There are many options when it comes to which is the best keyboard for learning piano. This list hasn’t been exhaustive, but it will be a good starting place to help with your decision making when you’re ready to purchase your first digital keyboard.